This is an opportunity to learn New Games by playing them! You will also learn how to lead the games, when to use which ones, and how to create your own New Games. For teachers and group leaders for: business course leaders, youth, churches, Scouts, after school, day care, park activities, meetings & more! In English with German translation. New Games 'Ice Breaker' for Sosa Xa! Laughter Yoga is about laughing for its own sake, with great health benefits! New Games for everyone, all ages, sizes, and abilities. Dance Room. Donations Requested. Laughter Yoga is about laughing for its own sake, with great health benefits! New Games for everyone, all ages, sizes, and abilities. Dance Room. Donations Requested. Games for staff of students 5 years and under. Adapting games for very young children will be covered. Not open to general public. Laughter Yoga is about laughing for its own sake (though it can become real), with great health and psychological benefits! 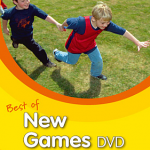 New Games are cooperative group games for people of all ages, sizes, and abilities. Families invited! Laughter yoga is about laughing for its own sake (though it can become real), with great health and psychological benefits! New Games will be taught to children from age 4-18, with the opportunity for older children to learn how to lead New Games. This is only open to retreat participant's children. Families and everyone is welcome to join in an hour of New Games at the Green Fair at St. Mary's in Sheffield. All ages, sizes, and abilities can participate. Families and everyone is welcome to join in an hour of New Games at the Sharrow Festival in Sheffield. All ages, sizes, and abilities can participate. New leaders will present the games, supported by games master Dale Le Fevre. Families and everyone is welcome to join in three hours of New Games at the Folk Festival in Sheffield's Endcliff Park. All ages, sizes, and abilities can participate. New Games master Dale Le Fevre and new leaders will present the games. This is an opportunity to learn New Games by playing them! You will also learn how to lead the games, and when to use which ones. For teachers and group leaders for: youth, churches, Scouts, after school, day care, park activities, meetings & more! People will experience New Games by playing them. 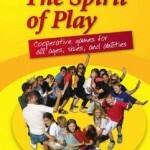 New Games are cooperative group games for all ages, sizes, and abilities. Everyone is a winner because we play for fun, not to see who can win. We play hard, we play fair, and nobody gets hurt. I arrived feeling resentful that I had to get up so early and give up a weekend I badly needed for myself. After one game I knew I wouldn't have missed it for anything.